About the group The Whitehall Primary School Heritage Club is investigating the built Heritage and History of the area around Whitehall Primary School. Workers in the Elizabeth Shaw chocolate Factory in the 1950s. In the top right corner of this photograph is Greenbank Cemetery, which is just on the other side of the railway from Whitehall school. 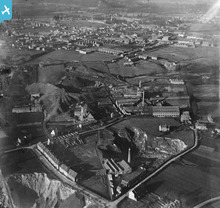 This shows the clay pit near the school. At Rose Green there used to be an old clay pit. The clay from this pit was used to make cheap pottery and bricks. The cycle path used to be a railway line that went from Bristol to Birmingham. There would have been room for two lines, one going North and one going South. If you look carefully you can still see bits of the old signals and bridges by the path. This is all that remains of a footbridge that used to go over the Bristol to Midlands mainline next to the school. 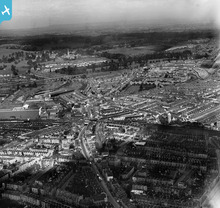 You can still see the bridge in aerial photographs from the 1960s. The Church of St Ambrose is a listed building and protected by English Heritage. It was built in 1912. The church is made from a different colour stone from the houses in the streets around it. The St Ambrose's Almshouses were built in about 1914 and are now listed and protected by English Heritage. They were originally built to house 8 widows of the parish. Homes for heroes are brick houses for heroes back from war. It has every thing on one floor in case they lost limbs. 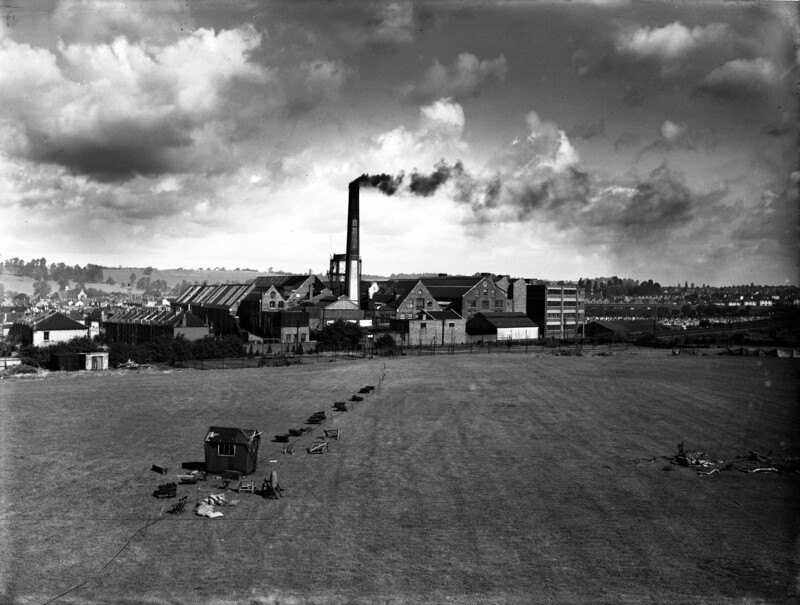 The bristol chocolate factory was built for the elizabeth shaw company roughly 100 years ago. because of the high production levels the bristol chocolate factory lasted almost 94 years in 2006. becasuse it is unprotected by english heratige, people can,if approved, build on it. there are current plans to turn into flats. Prefabricated houses are for elederly, and people who can't climb stairs. The old georgian was a place where the people from the chocolate factory came to rest and to relax.Now it is known to be haunted and people tell stories about.It is near whitehall and it's the building with all the broken window's.